Mmm, Halloween. The only holiday where it’s appropriate to go house to house begging for candy. Other times I try that I’m “trespassing” and they “call the police.” Whatever. More than 157 million Americans plan on celebrating Halloween this year, according to the National Retail Federation. We’ll spend a whopping $2.1 billion on candy — more than we buy for any other holiday — including 90 million pounds of chocolate. And you. You’re giving away rock-hard pieces of Dubble Bubble. Lame. It’s not widely known, but you can tell a lot about a person’s content marketing style by the Halloween candy they give out. Check it out, and then make sure to tell us what you think in the comments or on social. Happy Halloween! You regularly post original, long-form content created by influencers. We bet you’re damn good-looking, too. Finally, someone who pays attention to distribution, too. You’re just re-posting BuzzFeed articles, aren’t you? Your content is rife with error. Please, spring for a good editor. You haven’t updated your blog in a year. 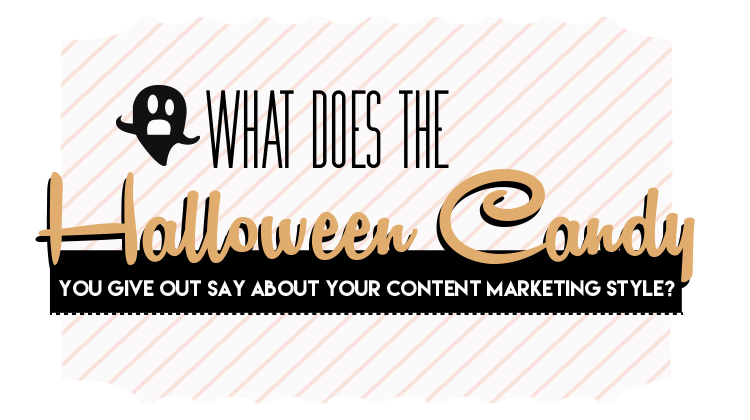 There’s this thing called content marketing … you should check it out sometime. Who has time to hand out candy? You use ClearVoice. Nice job! Megan Krause is a mom, writer, editor and all-around swell gal with 15 years' experience in communication and marketing. She served as ClearVoice's managing editor for four of those years, helping brands create great content and managing the company blog. She's passionate about words, language, grammar, style and ice cream. Follow her on Twitter.